Phuket is one of the southern provinces of Thailand and is an island sans any land boundaries. It is a popular holiday destination with its beaches, resorts and entertainment facilities. The Phuket Island comprises chain of mountains and valleys as well as flat plains. It is home to picturesque lagoons, tropical vegetation, hilly forests and limestone cliffs. Take a guided tour of Phuket Thailand and find out what a holiday to this exotic destination has in store for you. Phuket lies off the west coast of Thailand, in the Andaman Sea. It is Thailand's largest Island and is surrounded by a number of smaller islands. It is separated from the mainland by the Chong Pak Phra channel, where a causeway connects it to the mainland. Phuket has some of the most beautiful beaches in the whole region, while coral gardens full of exotic marine life surround the island. Tourism is the main economy and it attracts over 3 million visitors from across the globe annually. The island is quite hilly and covered by lush jungles. Phuket is well connected by air. It has an international airport with dozens of flights from Bangkok. The weather is warm throughout the year but the high season for tourism in Phuket Thailand is from December through April. If you opt to go during January to March, you can escape the crowds and make use of massive discounts at resorts. Phuket Thailand is surrounded by beautiful islands which are uninhabited. Many boat charter companies offer a range of options including bareboat, crewed and luxury boats, high speed water taxis and game fishing charters. Exploring these islands is an adventurer's delight. Do not miss the picturesque drive along the south coast between the Kata Beach and Promtheo. If you love adventure travel, take a walking trail through a national park or rainforest. One such park is Khao Phra Thaeo National Park. No visit to Phuket Thailand is complete without visiting Phang-Nga Bay where there are spectacular limestone and rock formations. 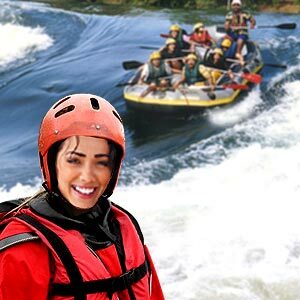 Water sports: Phuket offers a range of water sports including scuba diving, surfing, water-skiing, windsurfing, snorkeling, sailing, game fishing and white water rafting. Elephant Safari: This is the highlight of the tour and you can ride on an elephant along a trail through the jungle and rubber plantations. Most of these trips are short and also include a ride on a buffalo cart as well as bamboo rafts. You can also watch an elephant show in which trained elephants perform various tasks. Canoeing: Sea canoeing is one of the best ways to explore the fascinating limestone islands and caves. Canoeing is one of the best ways to paddle through the dark but glittering caves and finally, emerge in to cliff lined lagoons. 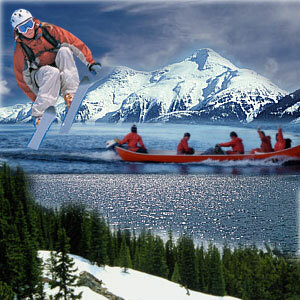 Sea canoe trips are available as one day tours as well as extended tours involving overnight camping. Trekking: Khao Sok National park, an area about 650 sq km is the place for trekkers and nature lovers. Here, one can see the striking limestone formations towering up to 1000 mts. 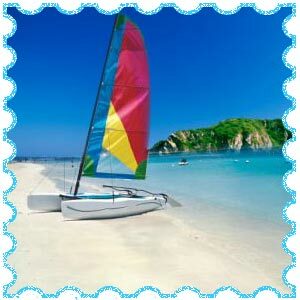 Yachting: Phuket is the center for yachting in the Andaman Sea. Steady winds, clear skies and flat seas offer ideal sailing conditions. The best season is from November to May. You are sure to enjoy some unforgettable sailing experience. Elephant trekking: This is an exciting experience where you can sit atop an elephant that takes you through rubber plantations and dense jungles. Phuket manages to attract vacationers despite the calamity of the Tsunami on December 26th 2004 which left thousands dead here. They will probably see fewer signs of the massive damage left in the wake of one of the worst disasters of this century. Phuket also has a zoo, an aquarium, an orchid garden and a butterfly garden. You can also visit the national museum and also Phuket's main Buddhist temples. Phuket Fantasea is a cultural theme park loaded with activities and entertainment, showcasing the rich and exotic cultural heritage of Thailand. While you may wear casual dresses to all the places, yet, while visiting the temples, care must be taken to wear appropriate dresses. Also, take care to remove your footwear before entering any of the temples. If you would like to carry home some artifacts and souvenirs, look for Chinese, Thai or Khmer antiques. You can pick up pottery, earthenware, stoneware and items made of lacquer. First Published Date: Aug 13 2006 Last modified Date: April 18 2019 This page may have been updated recently as new information is available or the content may have been edited for better readability.